Welcome to my trip report on SilkAir vs Malindo! I thought of making this trip report more interesting. I have already done the Boeing 737-800 report and now I will do the A320. 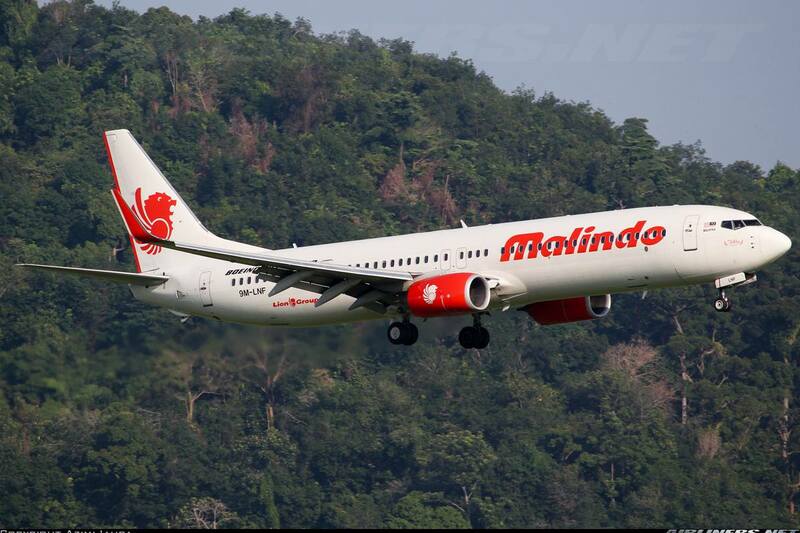 Will also add in the Malindo's Boeing 737-900ER report. I had already done one before on KUL-PEN route but will do again just for the sake of doing some comparison between both airlines and why flying with Silk Air is simply not worth it. As you know both Silk Air and Malindo Air are different type of carriers. Singapore Airlines is a parent of Silk Air and this carrier handles routes on smaller cities which requires smaller capacity aircraft. However, its not part of the star alliance which leaves many travellers puzzled and inconvenient. (Mileage points with their respective star alliance airlines). One would expect Silk Air to have similar standard to Singapore Airlines, but I was wrong when I flew MI's newest aircraft. No PTV, tight seat pitch and no snack on board a 50 minutes flight had left me to think, what kind of airline exactly is SilkAir? 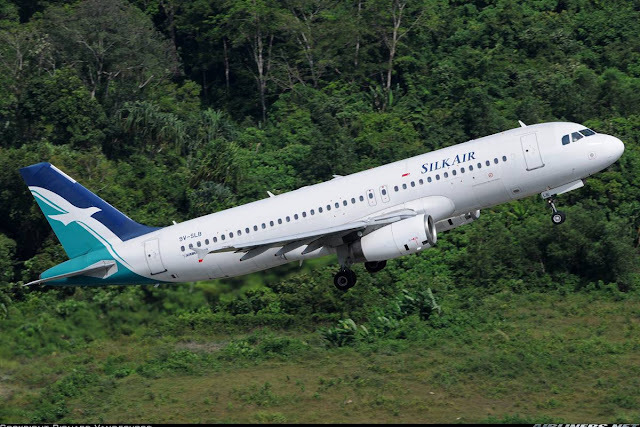 To me, Silkair is just an overpriced Low Cost Carrier. While Malindo Air surprises many of us, the ones I spoke to were impressed with what Malindo is offering and has already made it a first choice for domestic flights. Just think of this, if you book yourself on New York to Langkawi with Singapore Airlines. You will be flying on SQ metal for the New York to Singapore via Frankfurt (for example), spoilt by the wonderful IFE on board. But once you are in Singapore, you change to a SilkAir flight, you will be dismayed with the cabin products whether you are in J or Y class. A complete shock may I add. Only thing more this airline can offer more than a low cost carrier is in-flight meal and a generous luggage allowance. The biggest turn-off for frequent travellers is the inability to earn mileage points for the regional route sector. From New York to Langkawi, I would rather look at other options to get to Langkawi, perhaps Thai airways or EVA Air? What I would probably have done was to book with EVA Air to KUL then do fly on Malindo Air (Much cheaper fare and have more than what MI can offer) to PEN. At this moment, Malindo Air is not flying to Singapore. It has plans to do though with other cities in mind. What ever happens in the near future for this airline would also depends on its parent company, Lion Airlines to make some crucial decisions. If this airline starts flying to Singapore and expand to other cities in Asia, this would become my number 1 airline for regional short routes. Both carriers may be operating a different 737 series (-800 and -900ER), but Malindo's in-flight product is way better than SilkAir's. My first booking for my Indonesia trip was KUL-CGK by Kuwait Airways so I had to decide which carrier would fly me to KUL. I was considering Jetstar as it flies to KLIA airport - saves time. However, I went to MI's website to check whether there was any possible offer. I saw the airline offering $105 one way for its promo fare so I decided to go ahead and book the only possible morning flight, MI320 to KUL at 0600 hours flight. That means I had plenty of time to spare at KUL airport before my next flight, which was fine for me. This flight was originally supposed to be operated by A319 which attracted me more but in the end, I got myself an A320 instead, a less than half filled aircraft which I supposed the return flight could be a full one since this aircraft was used. Ok, let's go on with the trip report. Later on, I changed my seat to 21A. In the very early hours of that Friday. This is what you call a red-eye flight! An very early departure which meant that the airport was relatively quiet, not a bad idea to travel especially for long haul routes. You can see how quiet the place is! Once at the gate, boarding was called and the sleepy souls made their way to the aircraft. I was disappointed to see another A320, but was glad it was the old cabin. This meant that I could do a comparison between the old and the new. 9V-SLB was my ride to KUL that morning! Once on board, the crew welcome us. All except one were friendly. That particular one was pretty grumpy and luckily for me, she didn't serve my row. However, she was better at the later part of the flight. Still, you have to be professional. The rest of the crew were ok, nothing outstanding though. Anyway, plane was pushed back on time and we taxied to 02L for a quick take-off to KUL! There are some passengers going there for work so this flight timing is perfect, only down side is how early one has to get up and head to the airport. Once the seat belt sign was off, I started taking photos of the cabin! The crew's uniform and cabin colour don't match, do you agree? Clearly a low cost carrier's cabin! I wonder why are travellers paying so much money to fly on this airline !? The seat pitch is tight, but it isn't as bad as the 738. No IFE, just the drop down screen which was not activated on this flight. Frankly speaking, Air Asia and Jetstar's seats are more comfortable and taking the account that the seat pitch is similar, this was a shocker considering this is a premium carrier. I can't imagine flying on this or 738 for flights more than 3 hours! The new product to be honest is no better, it has in fact has a tighter seat pitch than this. The old A320 interior featuring this interior. The toilet was in a tip-top condition. That's me! Feeling quite sleepy at that time! Just a miserable choice of coffee/tea/juice/water was offered. Come on, SilkAir and Singapore Airlines, you can do much better than this! You are flying between 2 international Airports, how can you not at least offer a bun or cake on this sector? The cabin crew were overall fine, but not the hardware. Will I want to fly on this airline again? No! Definitely not unless I see an improvement in the hardware side and lower airfare, I would rather fly with the competitors. The Captain kept us informed through out and apologised for the delay. The delay was caused by the heavy traffic in CGK airport. My very first 737NG cockpit visit, a big thank you to the flight and cabin crew for making this flight an enjoyable one! I apologize for the lack of photos on this flight, for more photos please refer to this Malindo Air's trip report. My flight with Malindo Air was excellent once again and this time I will skip the ratings. Website: Silk Air definitely wins in this area. Considering that its an established airline and has a bigger network than Malindo Air, its not a surprise anyway. Not to mention the bad thing about Malindo's website which makes me minus points for it, is one has to use flash in order to access the web check-in. The only airline I flown so far has this issue. Thumbs down for that! In-flight service: Both sets of crew were great, but my votes goes to Malindo Air because I felt the crew were more proud of their airline than Silk Air. They did their jobs professional and even when they forgot about my meal. I showed them my ticket, they went quickly and came back with my meal. Doing this quickly with a professional manner. Value of money: Malindo Air offers ridiculously low airfare similar to Air Asia and both airlines are not too happy about it. Not a surprise there! I would definitely say its definitely worth the value, a bargain if you ask me. As for SilkAir? I don't see why I should pay so much for it if I can get better deals from LCCs (Jetstar, Tiger and Air Asia) and Malindo. Malindo Air only charges you for your meal and seats and of course you can choose not to take up those options. Silk Air has to buck up definitely to keep up with the competition. Having a consistent product with its parent airline will definitely help to attract more passengers even if paying more for it. Currently the airline's normal airfare does not make sense at all. Thank you for reading my short report on both carriers. I wasn't intending to a trip report on Malindo Air but I thought I could just do some comparisons. Does Malindo Air have inflight magazine onboard its flights? I like reading inflight magazines. Hi Yung Chyan: The airline doesn't offer in-flight magazines on both ATR72-600 and Boeing 737-900ER. My advice is to keep your expectation for Tiger Air low, don't expect much from them. The problem with LCCs in Singapore is when things goes wrong, it can go very wrong for you. Fingers crossed for you! As for Malindo Air, its a decent airline actually, offering IFE (In-flight entertainment) and a complimentary snack on board, so you shouldn't be disappointed with the airline's offering.